There's something about Mondays that compel me to tell you about my weekend. In short, we sailed the SeaChicken, had some nice meals, and did some shopping and thrifting. One of the places where we thrifted was an indoor flea market where I spotted this unusual ensemble. Yes, that IS a mannequin in a wedding gown wearing a feathered Mardi Gras mask and a gun belt with a gun and knife of some sort attached to it! EEK! In addition, a little boy (around 6 years old) there stopped running to inform me that he and his family were from Mars. Oops. . .that may have been classified information. Other than that, the flea market held no treasures for me to take home. However, I did score a few things at my trusty, neighborhood Goodwill. 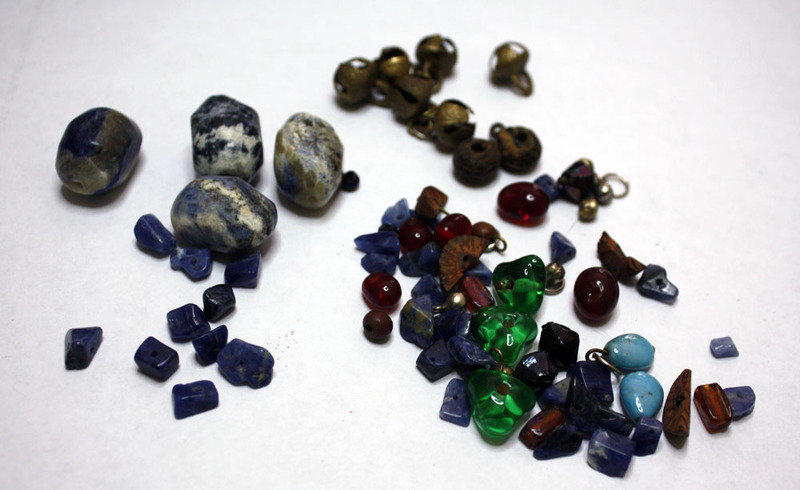 These were in a ziplock with a bunch of kids' plastic beads and some fishing wire. See the brass bells in the upper right? THAT'S why I bought these! The plastic beads and wire will be going back into the Goodwill donation box. 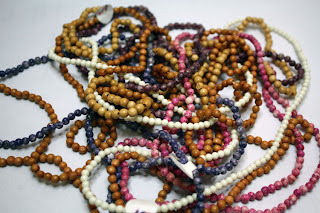 These long strands of small beads were reasonably priced and I know I can find a use for them. I even got some new beads in the mail today. I won these from Gaea last week and they're here already!! Needless to say, I've got a pile of fun stuff to play with and am anxious to try to get something made today. So, let me share this week's menu and be on my way. I know just about everyone has a Taco Soup recipe, but here's the one I use. It can be done in the slow cooker or quickly on the stove. As well, it's a rather flexible recipe. * To make in a crockpot, brown and drain your meat, then put it and all other ingredients in the slow cooker for 6-8 hours on low. 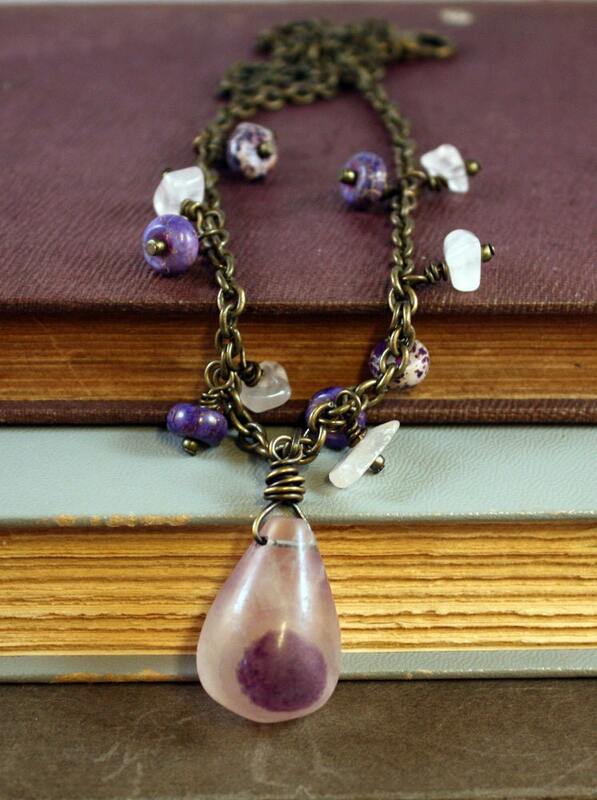 For just a quick but of eye-candy, check out this necklace I added to the shop last week. Now, I must really be running along! How's your Monday shaping up? Hey! Can I come eat with you! He he! We should go thrifting together sometime..:) Roll Tide! Well. . .Anonymous- Since I'm not sure if know you (seeing as you are anonymous), coming over to eat is questionable! The same holds true of thrifting together. I do share your view in college football though, so you can't be all bad! Roll tide roll!! I'd love to know who you are though! 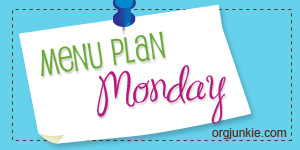 Your meal plan sound amazing! I'm printing them out so I can make them one of these days....if I can get organized. The focal bead in your Dot What necklace is amazing, as is your meal plans, wish I could be so organised. Most night come 5.00pm I still have no idea what to cook, then by 5.30 I'm in panic mode, thank goodness for eggs. I enjoy rummaging through stuff at thrift stores, flea markets, and antique stores too. I was reading your menu and my stomach began to growl then I looked at the time and said no wonder it is my lunch time. Beautiful necklace as always. I got a strange Anonymous reply to a very old blog post that was not on my blog today. How strange is that?